NO. 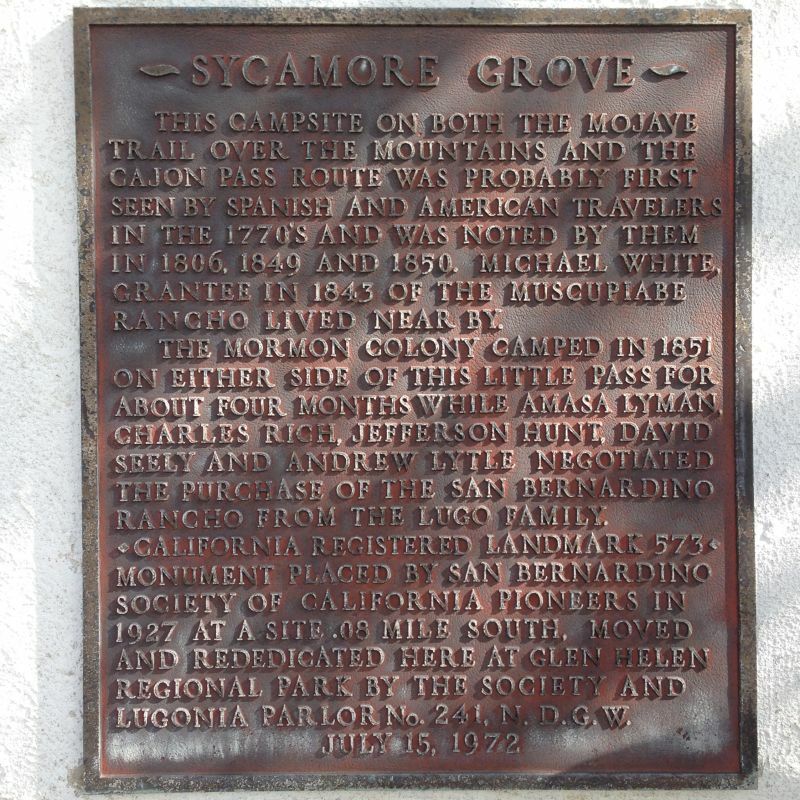 573 SYCAMORE GROVE - Sycamore Valley ranch, formerly called Sycamore Grove, was first camp of the Mormon pioneers. 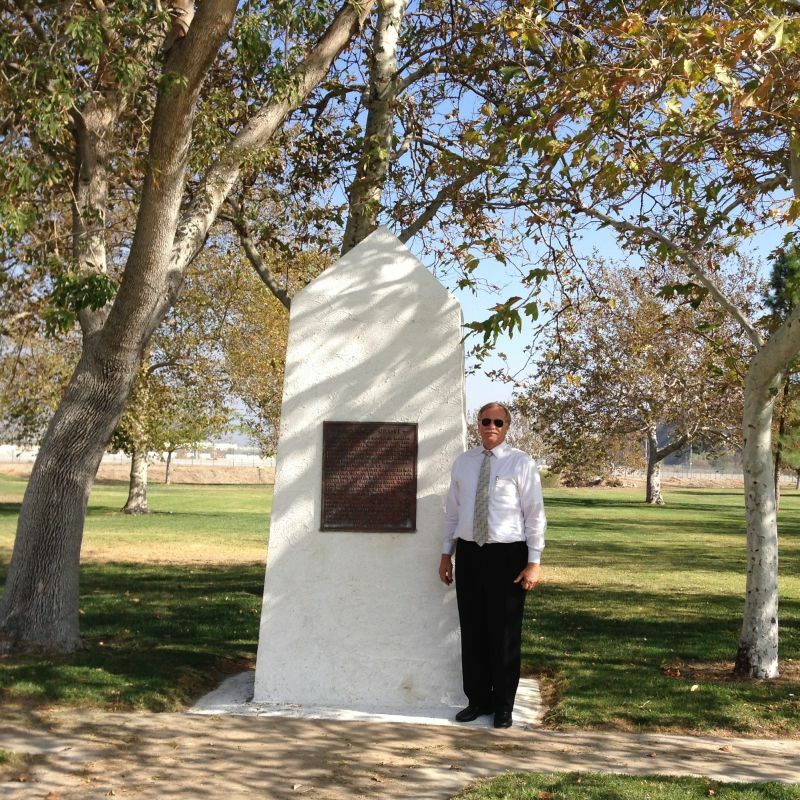 Captain Jefferson Hunt, Amasa Lyman, Charles C. Rich, David Seely, and Andrew Lytle stopped here in June 1851.